Prior to the industrial revolution all cloth had to be spun and woven by hand. Textiles were, therefore, extremely expensive and highly sought after. 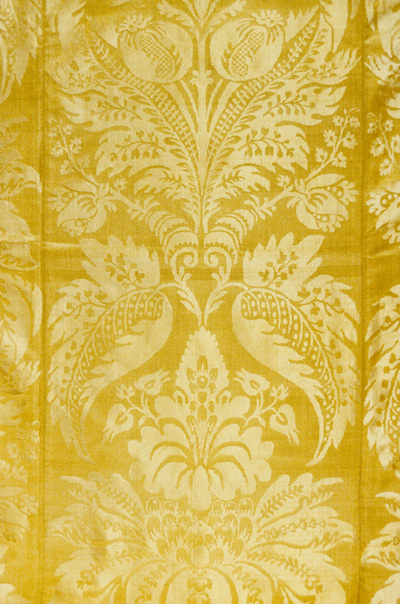 Textiles were often the most expensive objects within the mineiro home. 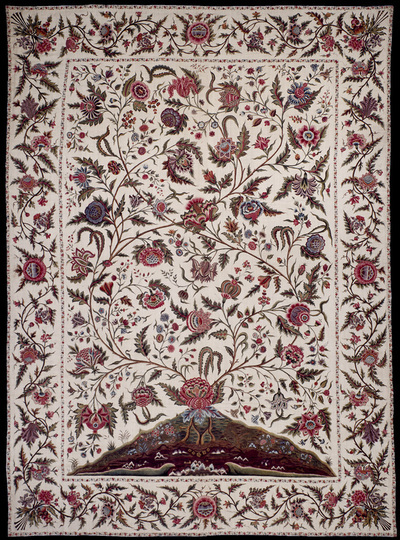 Fine textiles, made of fibers of the highest quality and manufactured with exquisite craftsmanship, were enormously important status symbols. While cotton grows in Minas Gerais, locally made cotton fabrics were not considered fine enough for use by the elite. Wealthy mineiros adorned their homes and their bodies with textiles imported from all over the globe. 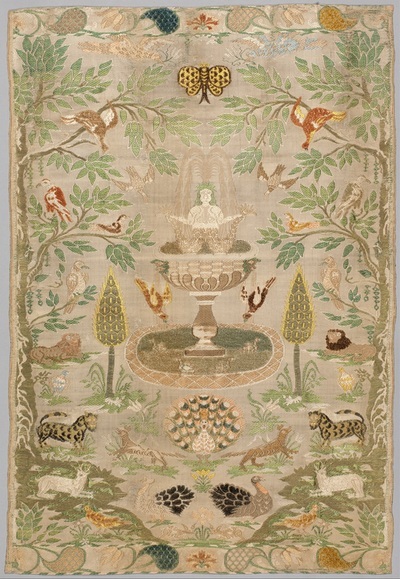 Wool and linen fabrics were woven throughout Europe, and silks were imported both from Europe and East Asia. Until the late eighteenth century, most fine cottons were produced in India.